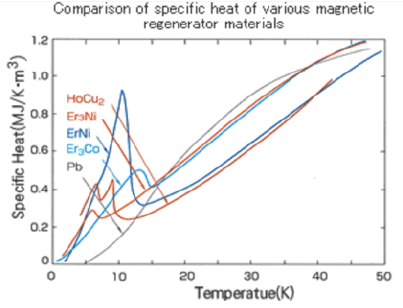 Magnetic regenerator material shows large specific heat peak at ultra-low temperature (in the vicinity of 4K), accompanying magnetic phase transition. By applying our magnetic regenerator material to GM (Gifford-McMahon) refrigerators, it became possible to generate high refrigeration capability at liquid helium temperature (4.2K). 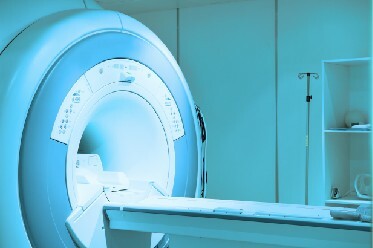 Using 4K GM refrigerators for superconductive MRI (Magnetic Resonance Imaging), it is possible to realize "zero boil off", in which the evaporation of liquid helium is zero. 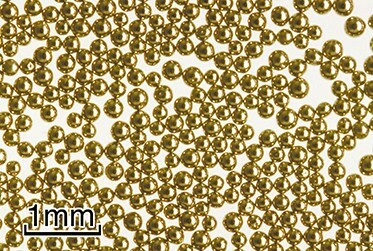 Average particle diameter: 100-300μm. Inquire for other particle diameters.